This volume, through a detailed treatment of the cognitive processes that support reading, explains how reading really works. It offers a thorough overview of important and current research, including first language research, which is not often found in second language acquisition (SLA) publications. 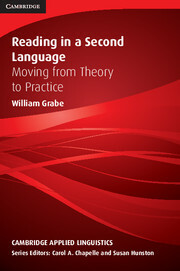 This book is a true example of applied linguistics; it makes well-defined linkages between theory and practice, discussing the implications and applications of second language reading theories on instructional practices. It is a valuable resource and reference for action researchers, curriculum designers, teachers, administrators, and those interested in exploring theoretical issues grounded in instructional contexts. 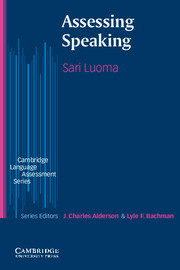 This book takes teachers and language testers through the research on the assessment of speaking.